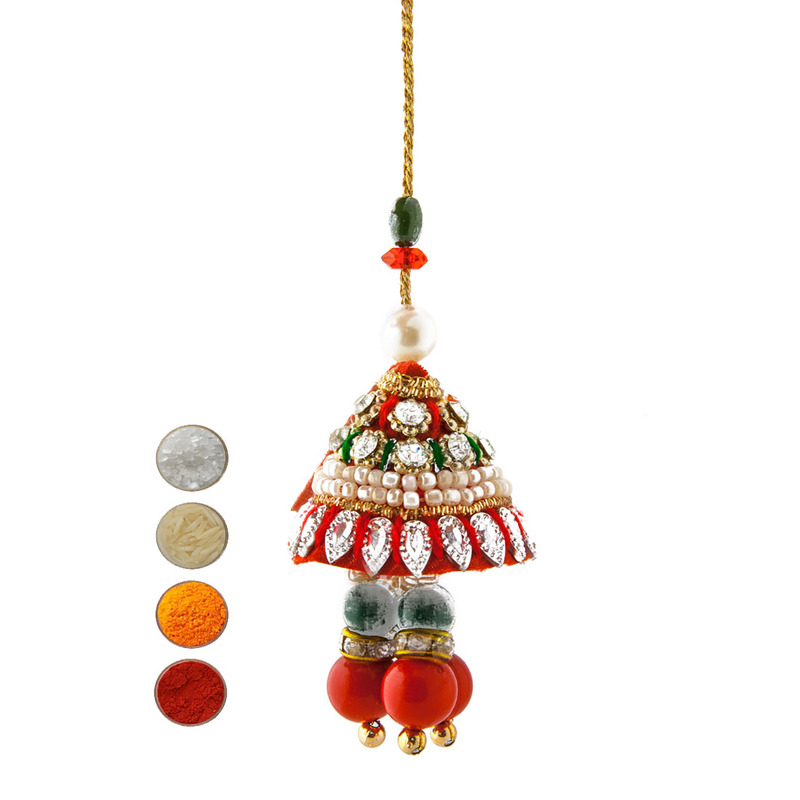 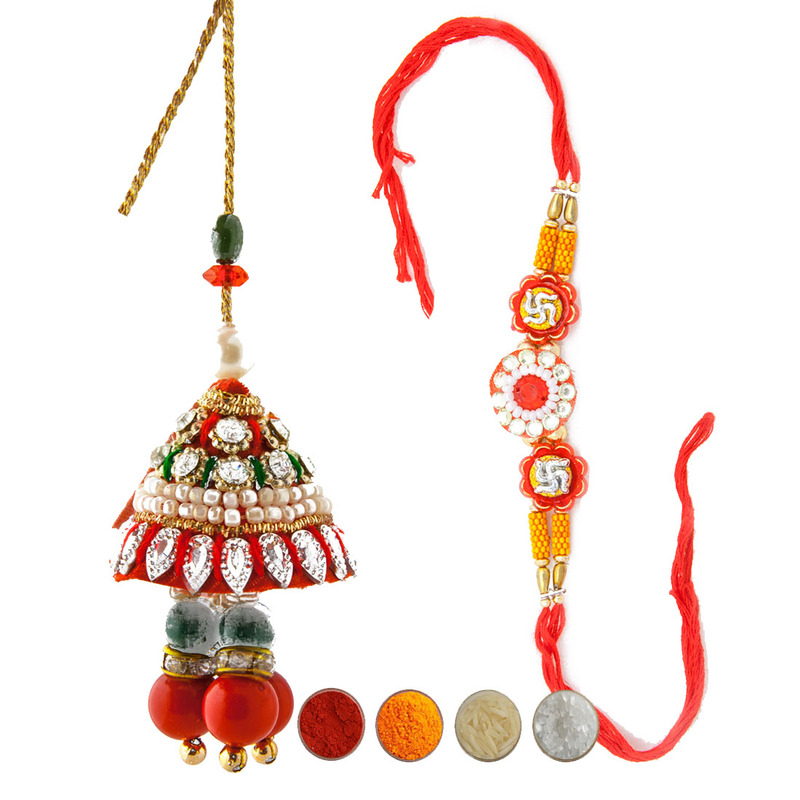 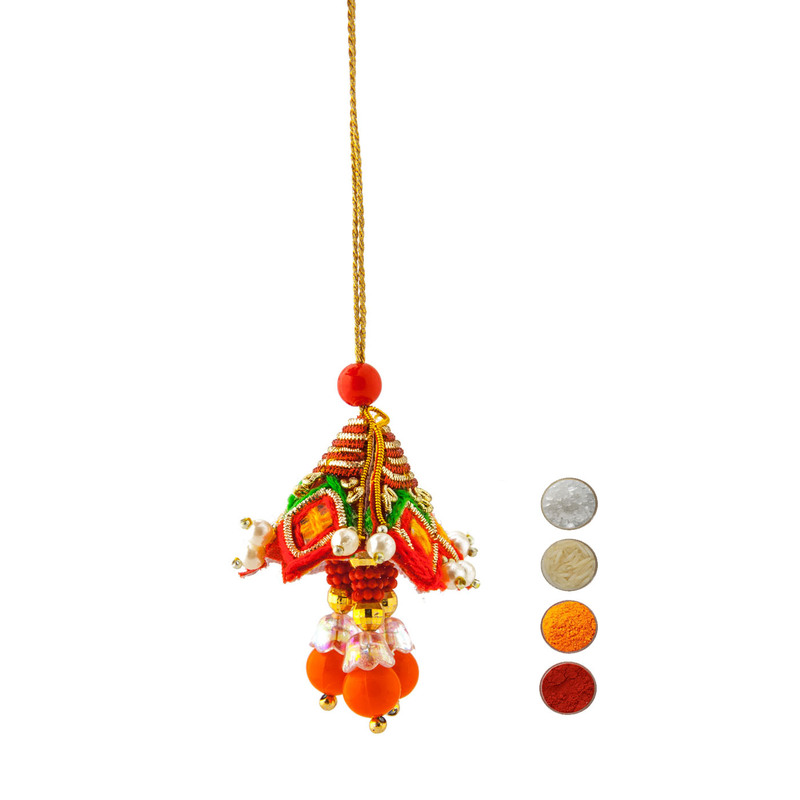 This is an awesome set of three premium rakhis in silk threads / Resham Dhaga. 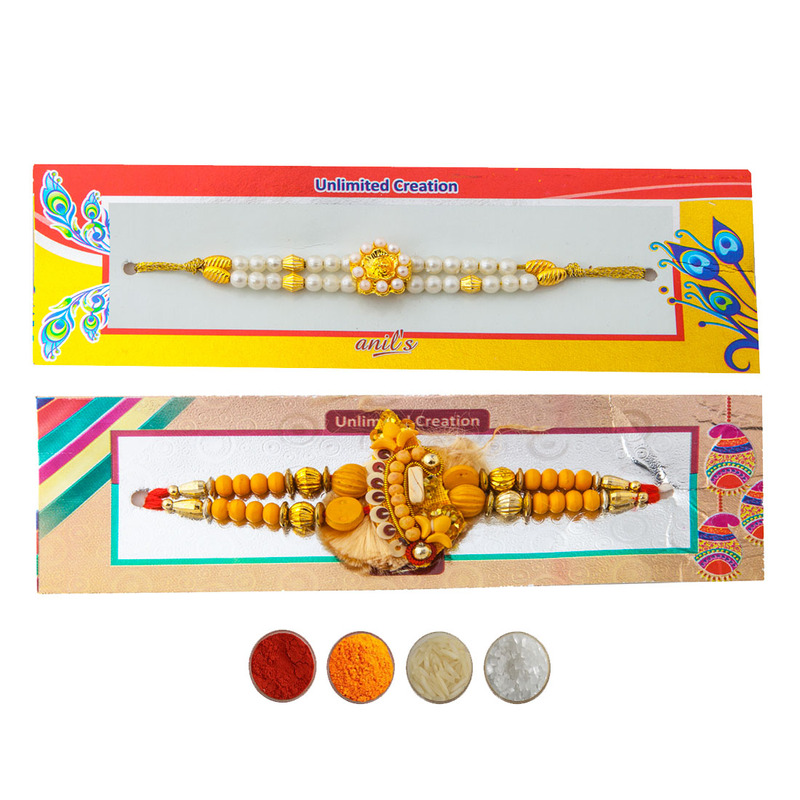 While the one or first rakhi has attractive motifs and shimmering white pearls; the two other rakhis have diamond aura premium stones and very elegant motifs. 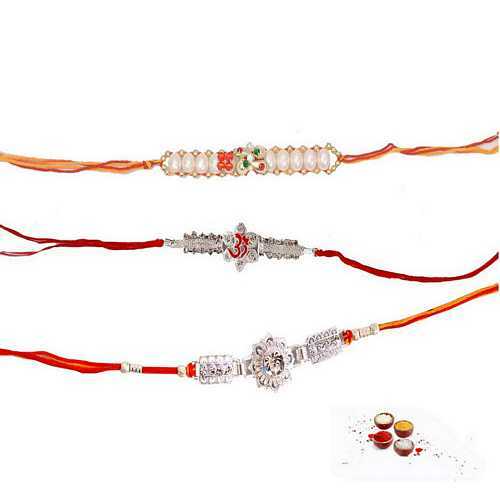 Convey your wishes and love to your brothers with these three awesome premium rakhis sending online to India. 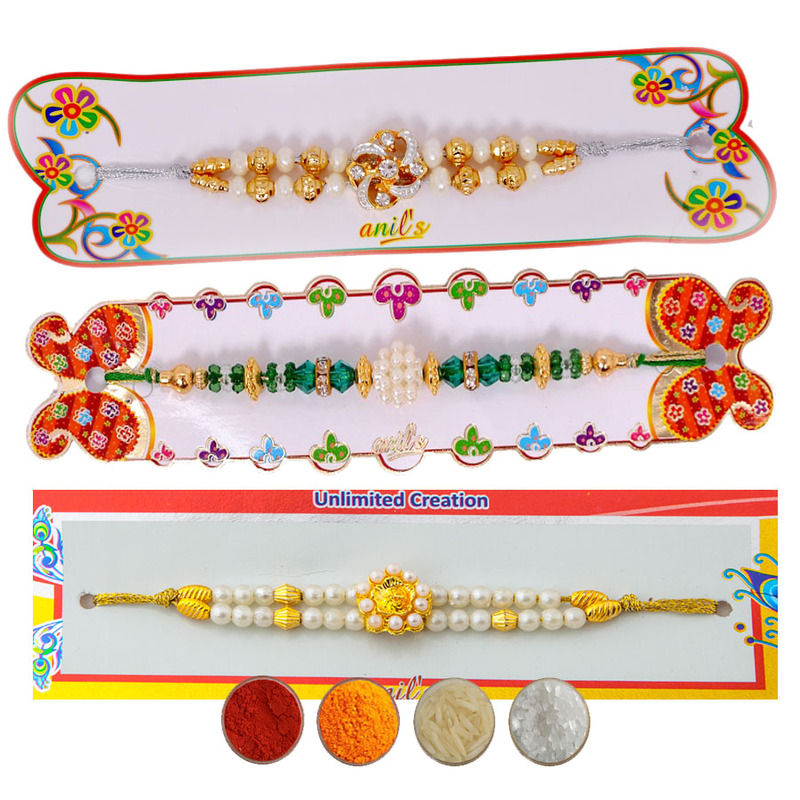 We offer threes rakhis with complimentary Roli, Chawal, Chandan and Mishri.